Calling someone a pig is usually considered an insult in most parts of the world; it can mean you’re a slob, a male chauvinist, or even a dishonorable cop. But not in 2019! According to Chinese astrology, people born in the year of the Pig (1959, 1971, 1983, and 1995) are philosophical, artistic, refined and intuitive. If you were born in one of these years, that means that 2019 is a sensitive but powerful year for you, where you can either harness your best traits or be destroyed by your worst. Not born during the year of the pig? No worries, we’ve got some sights for you to see at the end. 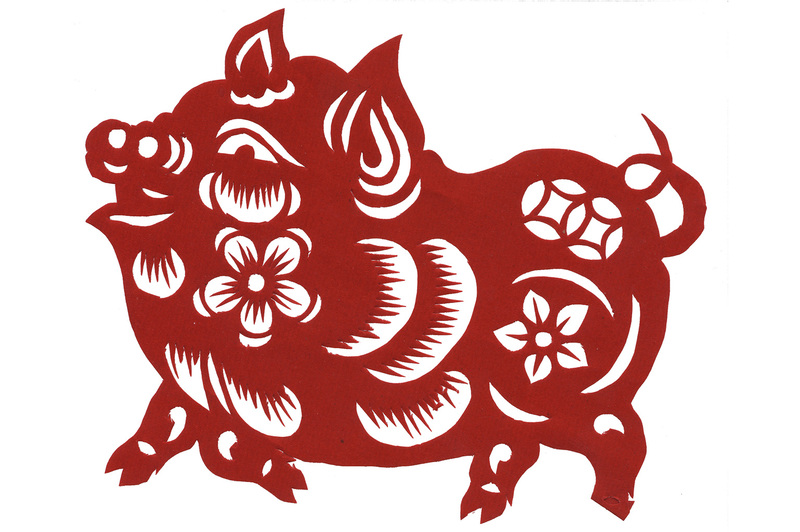 Pigs are a symbol of wealth in Chinese culture, but female pigs are traditionally luckier than male pigs at bringing home the bacon, according to ancient Chinese astrologers. All Pigs need to be careful with their money in 2019, and not overspend on luxury items. Avoid being overly pedantic or pessimistic; these are your worst traits naturally, but could lead you into trouble this year. Wear yellow clothing as often as possible, and use the numbers two, five and eight whenever you can. Don't believe us? Ask you best Chinese friend's grandmother; she will corroborate. Where can Pigs and non-Pigs go to harness the power of 2019? Check out Meishan Pig Farm for a glimpse at some truly massive hogs, or cuddle up with a friendly family of swine at the petting zoo inside of Shanghai Chenshan Botanical Gardens. You can even buy your own pet pig on Taobao by searching 宠物猪 (chongwu zhu). Prefer your hogs a little less alive, a little more cooked? Grab a meal at The Blind Pig, partake in the all you can eat BBQ at Zapfler, or make your own sweet & sour pork dish using the pet you just bought on Taobao. Kidding!